The Belkin BOOST↑UP 15W Wireless Charging Pad is fast charge enabled, with a maximum output of a massive 15W. This mobile phone induction charger is USB-C compatible and uses a proprietary jack which comes with a wall plug. This is supposedly because the 15W output would not be possible via a USB connection. Note that the wall plug is unusually large so may be difficult to position in tight wall sockets. This Belkin wireless charger functions like a standard wireless charging pad. In addition, it uses a thermal detection sensor to prevent heat build up without the use of fans so may be quieter than other chargers. There is a rubber pad on the base of the Belkin BOOST↑UP 15W to keep it in place and the front of the charger is covered in a matte surface which grips your device. While this product only has one transmitter coil , there is a built in silver ring in the centre of the front side of your charger which indicates where to position your phone. A subtle LED indicator lights up green when your Qi enabled phone is in position, this may still be bright but is unlikely to cause too much trouble at night. The LED will also turn red if a foreign object is placed on the charger. The Belkin BOOST↑UP 15W is one of the most professional chargers on the market and unlike most chargers can boast 15W output fast charging. 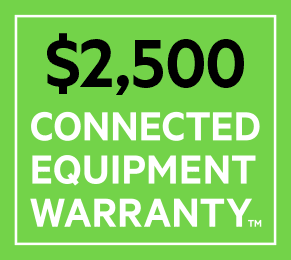 On top of that you will receive £1500 connected equipment warranty in case of electrical damage. However, the price tag is still pretty hefty and this product should only be purchased by those who are keen to charge their phones quickly.